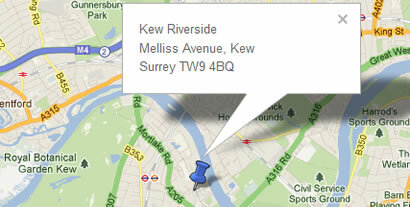 FirstPort Bespoke Property Services are the managing agents for Kew Riverside. Please note that FirstPort manage the communal areas of the estate and apartment blocks & not individual properties. FirstPort Bespoke Property Services are a specialist property management company who manage major mixed use residential developments that present a different set of demands to more straightforward leaseholder apartment blocks, demands that require a fast response from an experienced onsite team. With a broad range of properties across England and Wales ranging in size from 250 individual apartments / properties up to over 1500 on one development; typically FirstPort managed developments require a dedicated onsite management team led by a Development Manager. FirstPort's Development Managers are supported by experienced Senior Property Managers, as well as dedicated resources for Accounting, Administration and Human Resources, to ensure both onsite staff and office based colleagues deliver the highest standards of customer service. The senior team of Property Managers all have a minimum of 8 years industry experience. Property Managers also manage relationships with some of the country’s leading developers and house builders; that have created some of the most outstanding apartments and residential properties. Each Development Manager is responsible for their own team, which normally includes: 24 hour Concierge, cleaners, gardeners and handymen. The FirstPort onsite team is the first point of contact and is there to assist property owners and tenants with any maintenance issue relating to the communal areas of the development. FirstPort Bespoke Property Services has introduced a new interactive website to allow residents to have greater access to local onsite information. By creating ‘Your Property Online’ enabling access to information about the management of your property 24/7. Visit www.firstport.co.uk and register or use the online demo.